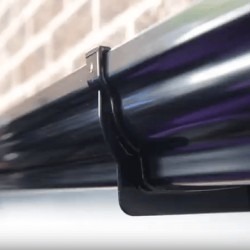 Our Brown Ogee Gutter is manufactured by FloPlast, the market leader in the UK. 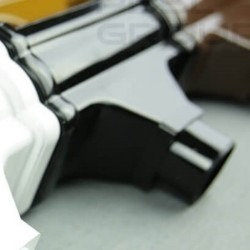 Brown Ogee Guttering is particularly popular on properties that have woodgrain UPVC Fascia fitted and comes with a 10 year colour guarantee. 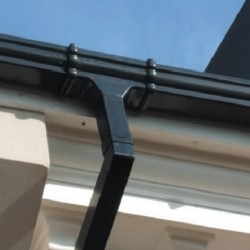 When used with the internal (concealed) fascia brackets it gives a very clean eaves appearance when viewed from underneath. Interesting fact - a lot of the National Housebuilders tended to favour Brown Ogee in the 1990's and it is still the first choice for many of them!